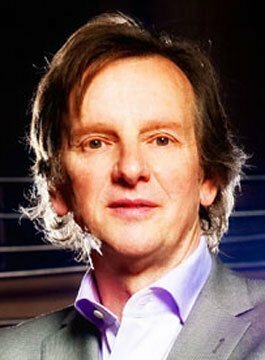 Nigel Barlow is an Agent Provocateur, Author, Creative Coach, and Keynote Speaker to many of the world’s leading organisations. Nigel has a deserved reputation as one of the world’s most dynamic business speakers. He is also a strategic coach, consultant, and author working with famous brands on every continent. He’s the master of applying creative thinking to any area of your business. Nigel’s distinctive approach is to convey essential messages in a highly entertaining and interactive way. His latest book is Re-think: How To Think Differently. During his speeches, he helps his audience to open their minds to creative re-thinking. Re-thinking can be applied to topics as diverse as Leadership, Markets, Brands, Attitude Change, Individual and Corporate Innovation, Strategic Development, the Customer Experience, and anything to do with organisational transformation. An inspirational boost to your conference, off-site event or leadership retreat. Nigel has worked with organisations on every continent – from Apple to Unilever – as a speaker, creative coach, and agent provocateur. His stimulating presentations are highly interactive and always top the ratings. He takes the business of tailoring his message to his client’s aims very seriously and is foolhardy enough to favour the after-lunch spot at conferences. This session is inspiring, practical and tailored to your specific Disruption Challenges, whether these are technological, commercial, or organisational. Disruption is the outcome, Innovation the process. What it means to disrupt: definitions and real-life examples. Can you avoid being disrupted? The trap of mindset. Not all disruptions are digital – apps, algorithms or AI – but these are likely to be at the heart of your transformation. Technology as more than a machine: art, craft, skill, and ingenuity. Innovative and disruptive thinking is high on the wish list of most organisations. But what does it take to break boundaries in thinking, create novel solutions, and transcend business as usual? This lively, interactive session explores how we all have a mindset – and what to do about it. Given that most people don’t have their best ideas in a traditional office block, we also take a look at organisations that have created their own spaces for innovation, equipping their talent with innovative tools to transform the organisation. Be prepared to disrupt yourself! Digital Transformation and Disruptive Innovation are the words on everyone’s lips. So what room is there for creativity and initiative when algorithms, Big Data and AI seem to trump all human endeavours? Working at the interface between the digital and human worlds, Nigel Barlow explores with leaders around the globe how to develop the qualities of personal and organisational creativity, as we inevitably become digital citizens. Technology companies like Apple, Gartner, Hewlett-Packard and Microsoft, as well as many others across industry sectors, have benefited from his insights on what to pack for the future – and how to stay sane in the gold rush to digitise everything. Forget thinking outside the box: change it! What’s your real company song? "We have worked with Nigel Barlow and his technique for many years and re-thinking has proven to be a source of "new thinking" not just once but continuously. It has been inspirational as well as practical which has enabled us to continue to go from strength to strength and stay a leader in our field." "Thank you for a truly wonderful presentation. Nigel Barlow managed to turn the traditional after lunch graveyard spot into the highlight of the conference. Delegates were buzzing with excitement and enthusiasm after the presentation, and this was reflected in the record 91% 'Excellent' rating given to Nigel by these attendees."